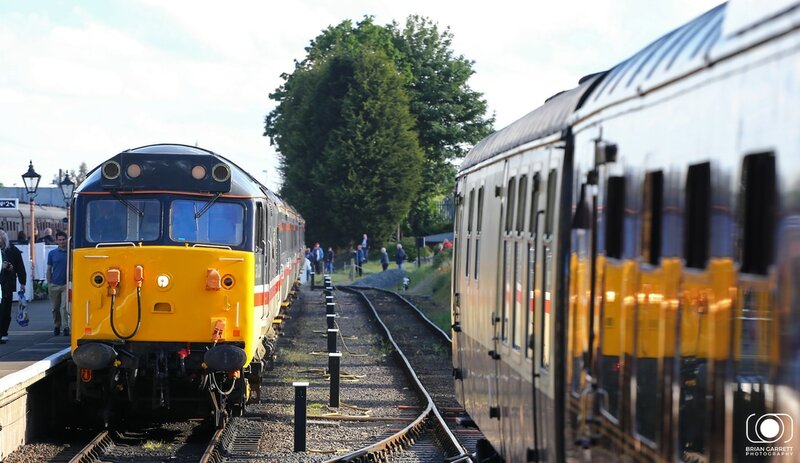 The Severn Valley Railway Diesel Gala's are always good events, and despite a signalling issue on the day I visited, trains manged to claw back over an hour of delays to be back on time by the early evening. 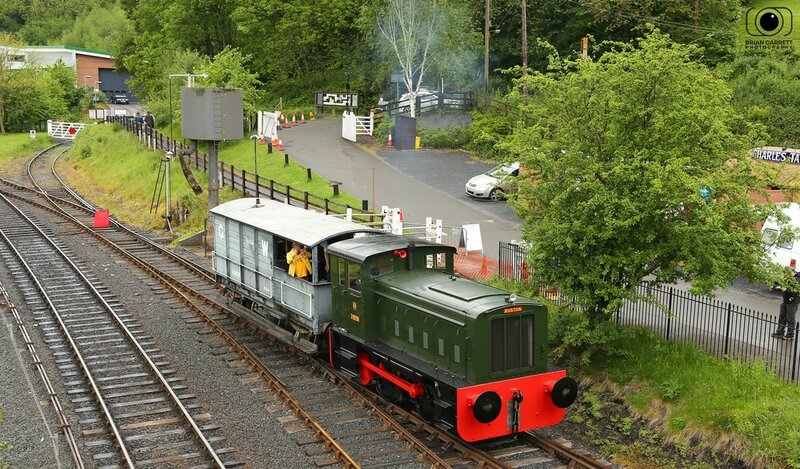 Ruston & Hornsby 0-4-0DM No.2967 provided break van trips through the siding at Highley Station. 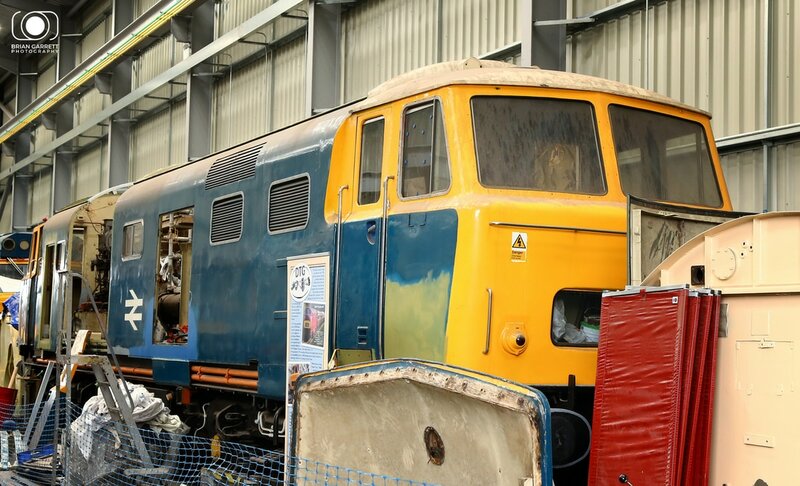 BR Blue Class 33 'Crompton' No.33035 displays a former Class 33 haunt of 'HG' Hither Green. 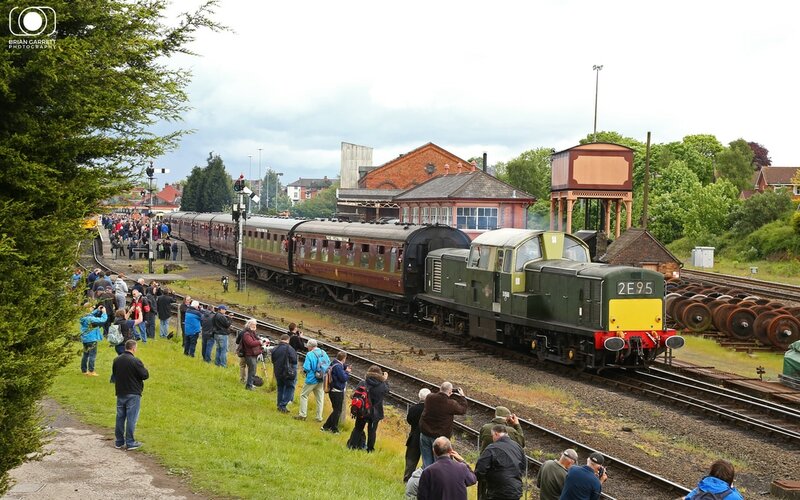 The locomotive prepares to depart Kidderminster with the 09:10 to Bridgnorth. 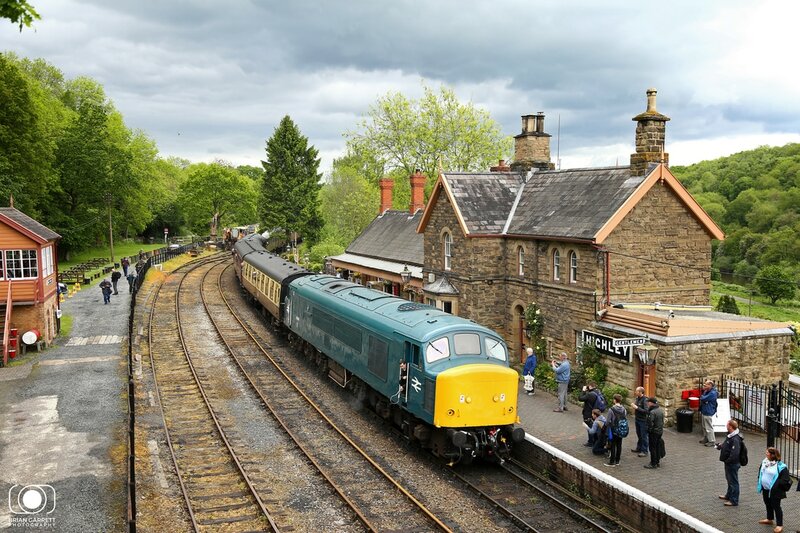 Laira Blue Class 50 No.50008 'Thunderer' arrives into Highley Station hauling the 10:40 to Birdgnorth from Kidderminster. 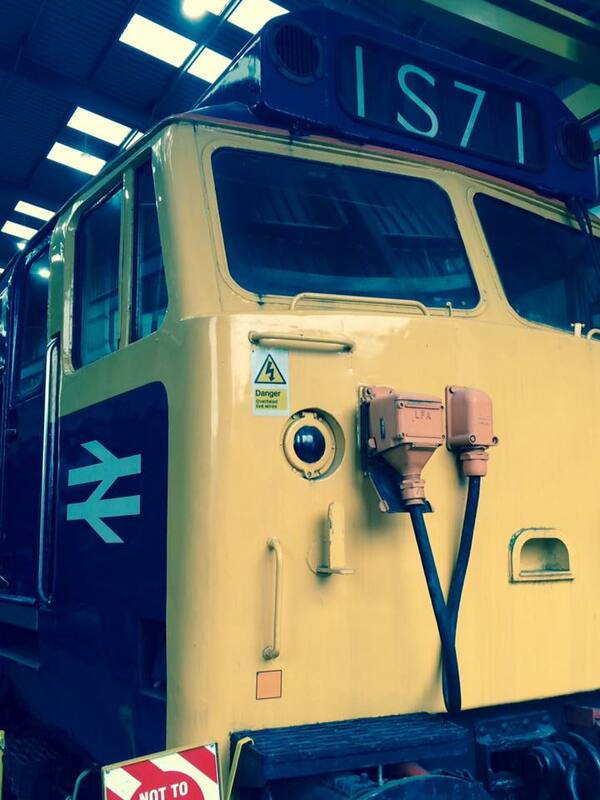 BR Large Logo Class 50 No.50049 stands at Kidderminster stabled between duties. 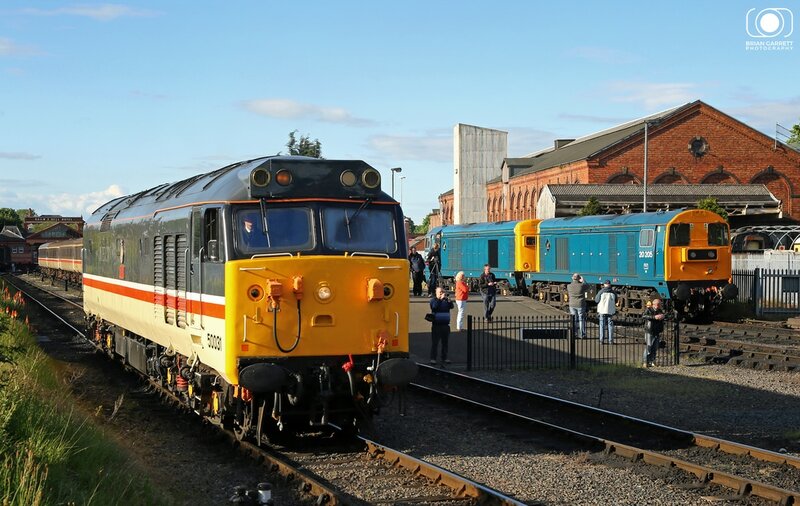 BR Large Logo Class 50 No.50049 'Defiance' stands at Kidderminster while Intercity liveried Class 47/8 No.47828 arrives into Kidderminster from Bewdley. 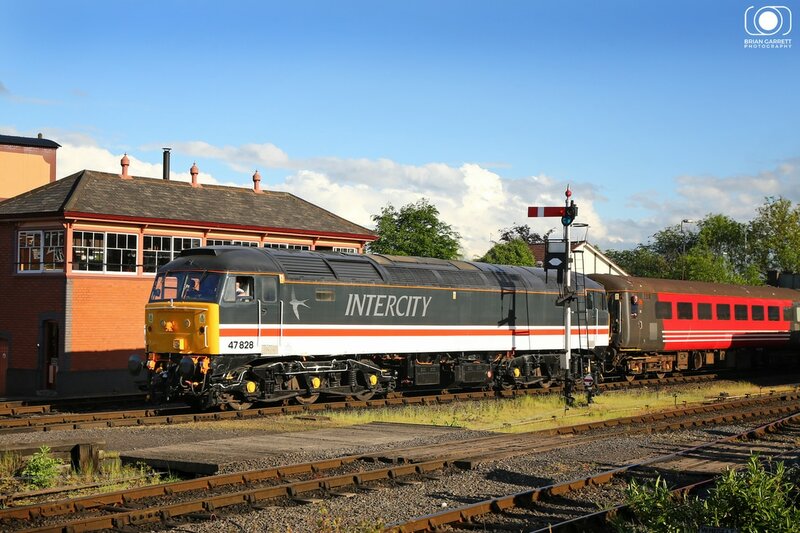 Intercity liveried Class 47/8 No.47828 arrives into Kidderminster from Bewdley. 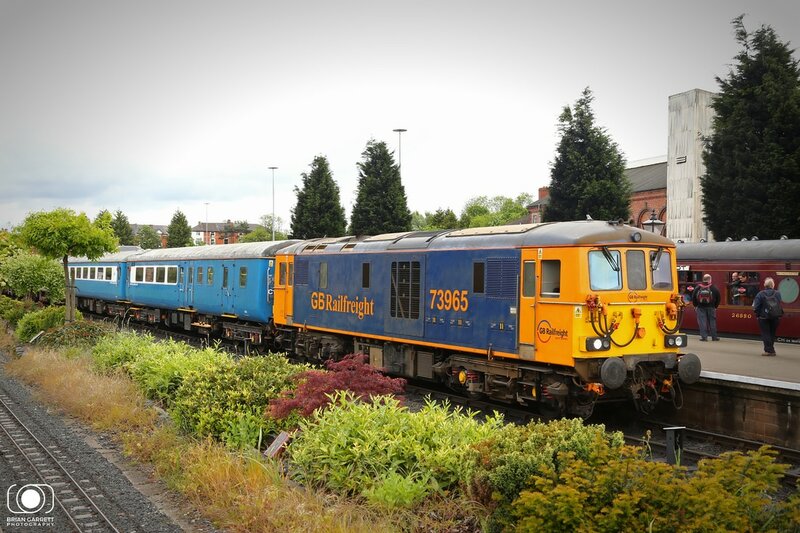 GBRF Class 73 No.73965 prepares to depart Kidderminster to Bewdley. 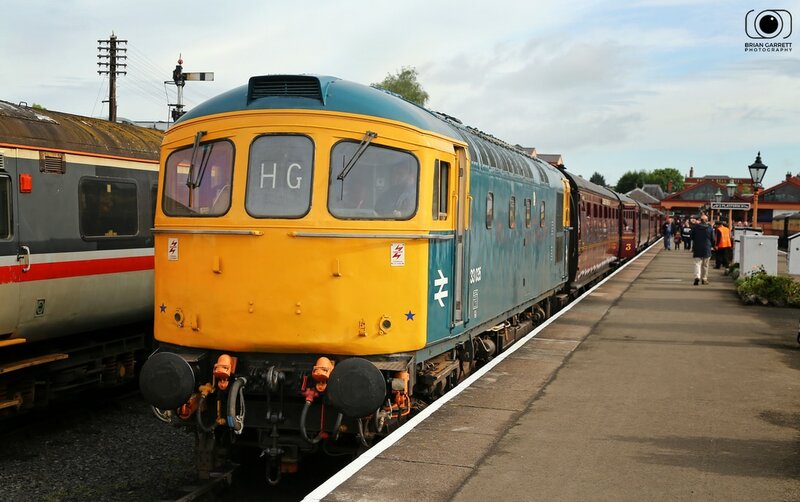 Class 17 'Clayton' No.D8568 departs from Kidderminster hauling the 12:59 to Bridgnorth. 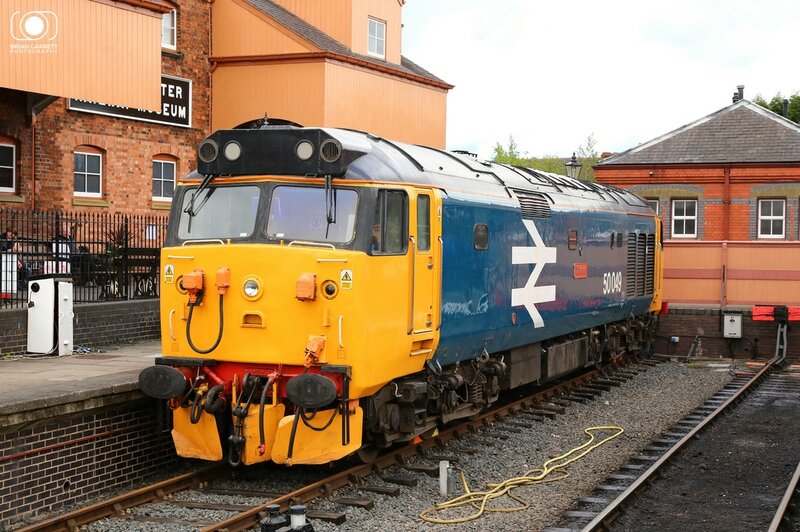 BR Blue Class 46 No.45060 'Sherwood Forester' is stabled at Kidderminster. 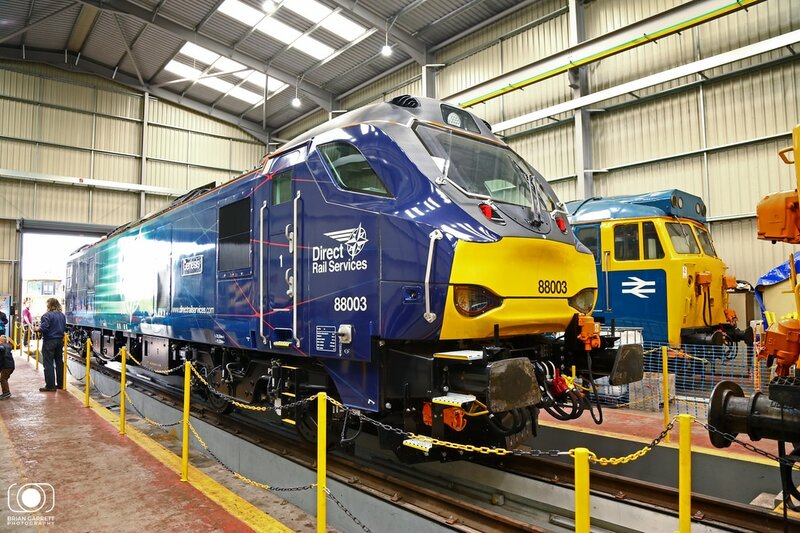 DRS Class 88 No.88003 'Genesis' is pictured on display in Kidderminster Diesel Depot. 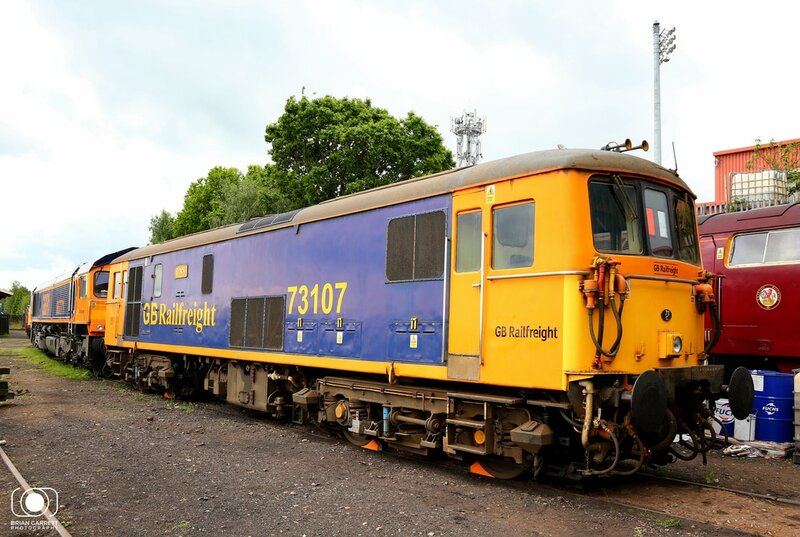 GBRF Class 73 No.73107 'Tracy' and Class 66/7 No.66771 at seen on display at Kidderminster. 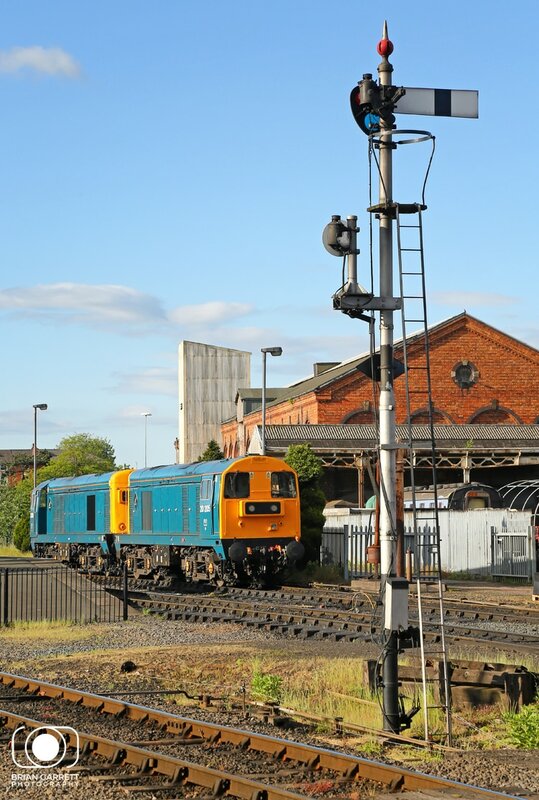 BR Class 33 No.33108 and Class 14 No.D9551 arrive onto depot at Kidderminster. 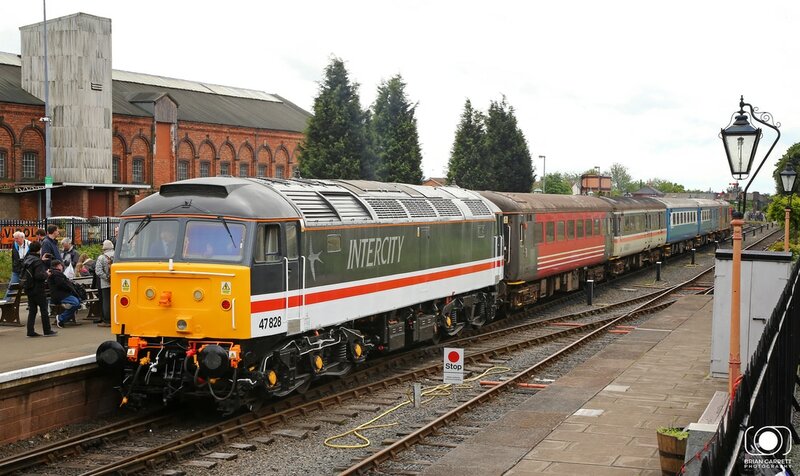 BR Green Class 47 No.47192 departs from Kidderminster Shed for its next booked duty. 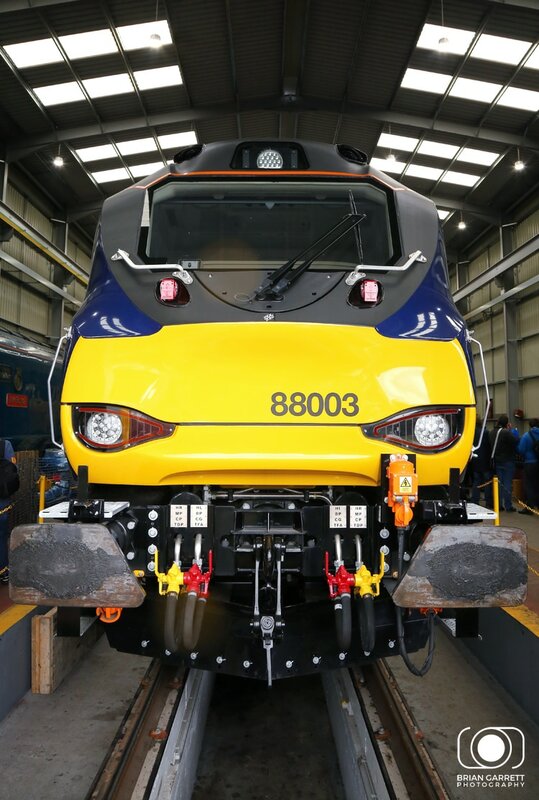 DRS Class 88 No.88003 stabled on Kidderminster Shed. 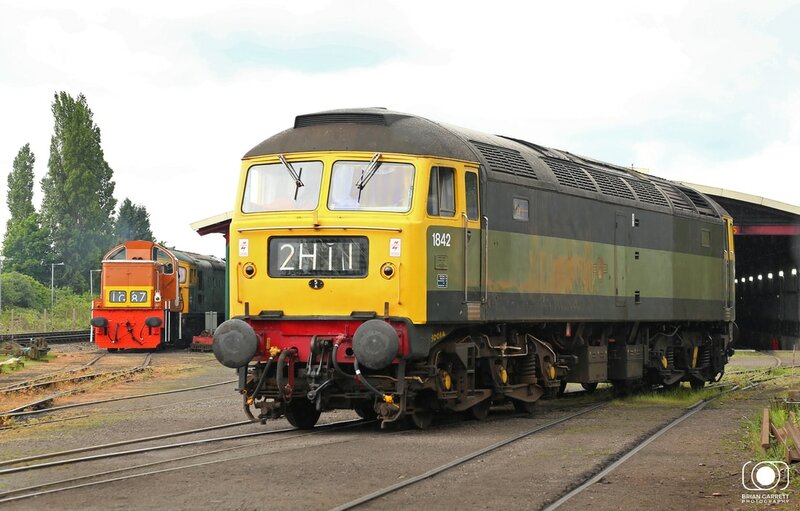 Still with a huge amount of work to do BR Class 35 'Hymek' No.D7029 is pictured on Kidderminster Shed. 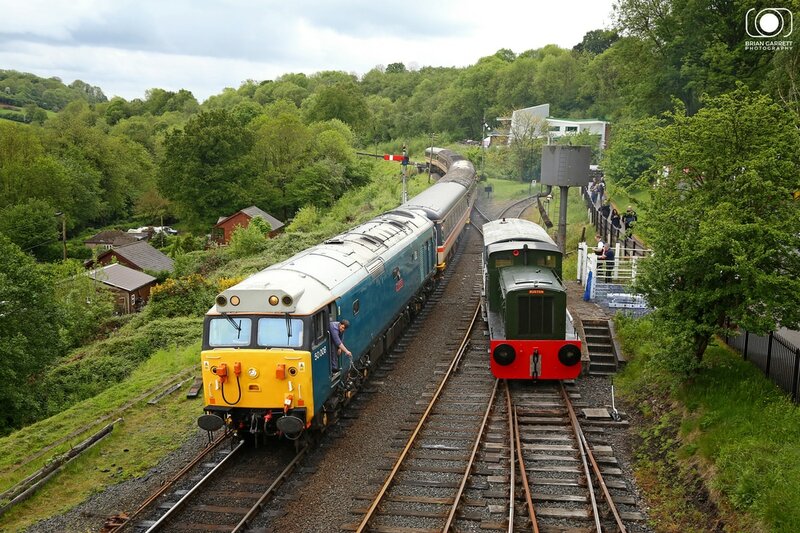 BR Blue Class 45 No.45041 'Royal Tank Regiment' arriving with the 14:30 Bridgnorth to Kidderminster. 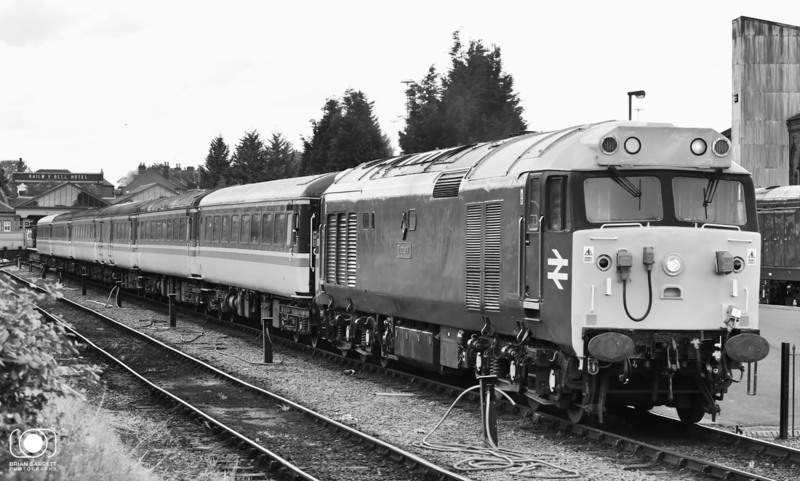 BR Class 50 No.50031 'Hood' carries a fictional Intercity livery which 'could' of been applied had the class of lasted longer in service. 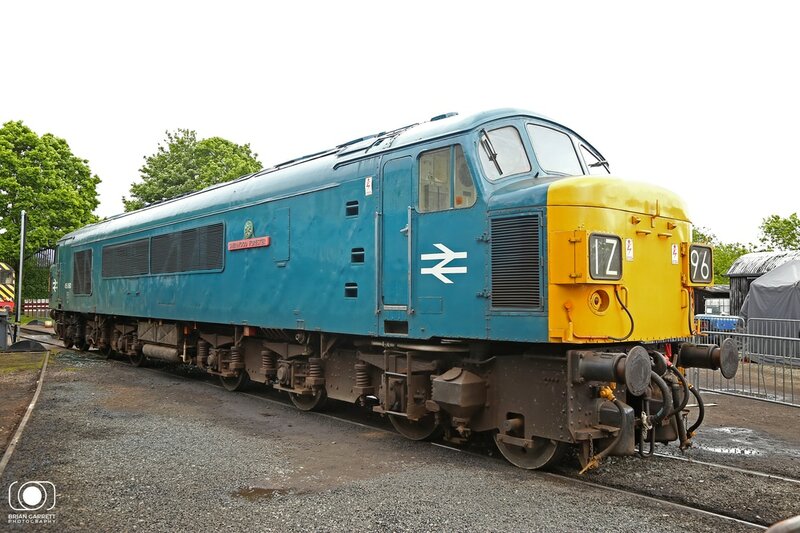 It's seen having arrived with the 16:54 from Bridgnorth. 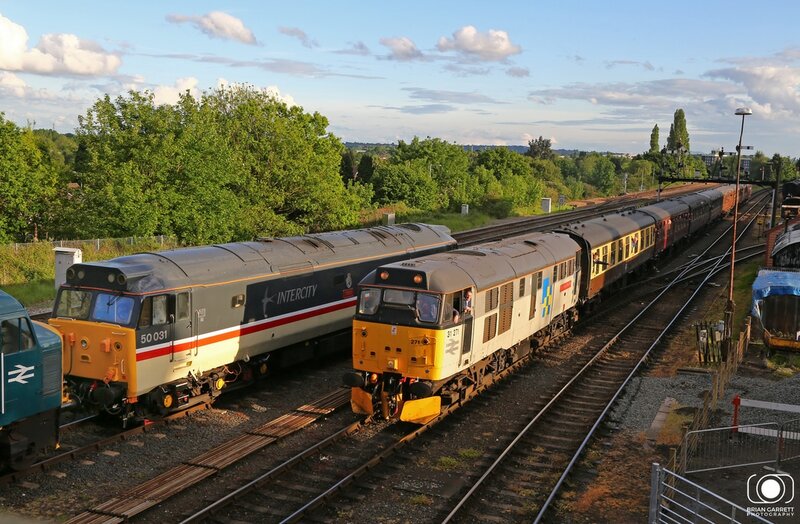 Intercity liveried Class 50 No.50031 'Hood' runs round it's train at Kidderminster passing BR Blue Class 20's No.20205 and 20189. 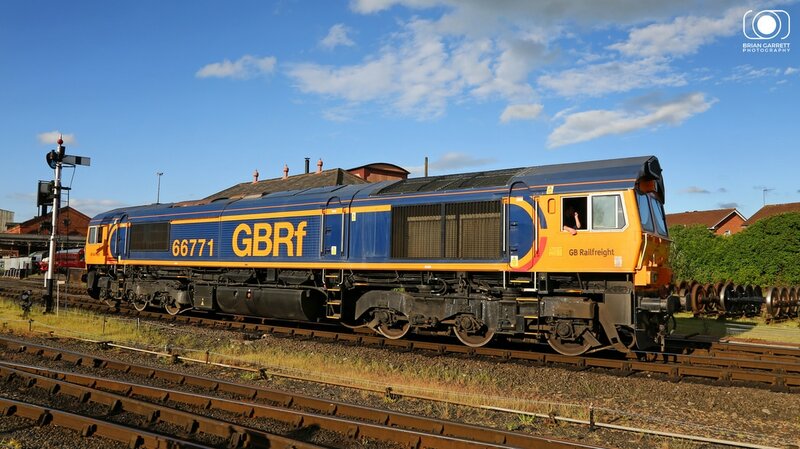 GBRf Class 66 No.66771 departs to Kidderminster Shed. 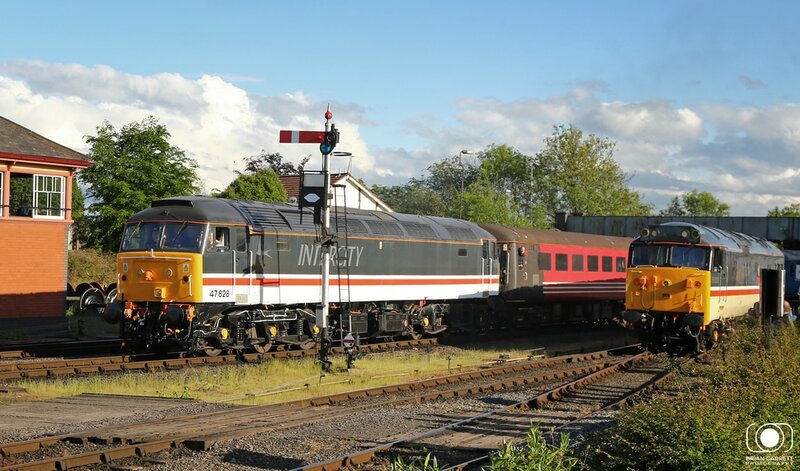 Intercity liveried Class 47/8 No.47828 arrives into Kidderminster recreating a former Virgin Cross Country scene from the past, hauling the 15:56 from Bewdley. 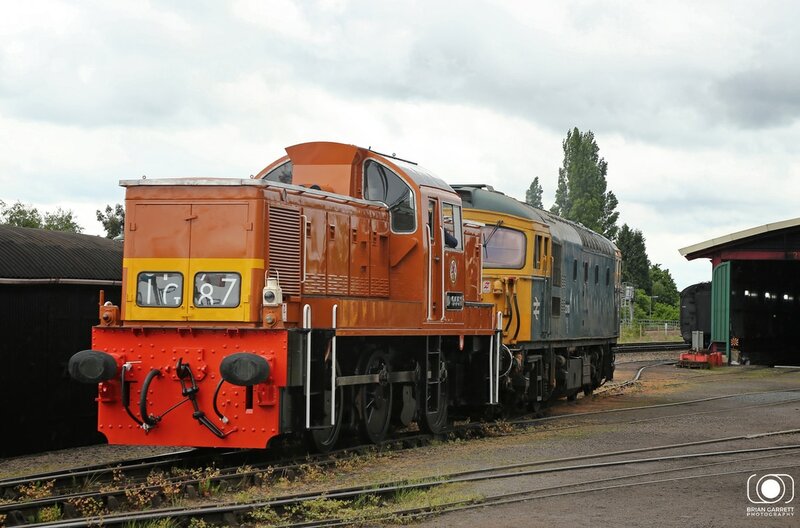 BR Blue Class 20's No.20205 and No.20189 stand at Kidderminster between duties. 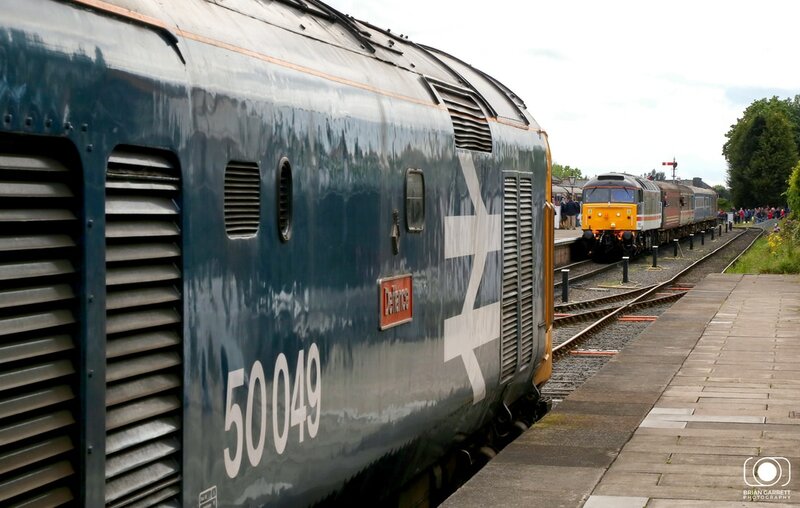 Laira Blue BR Class 50 No.50008 'Thunderer' stands at Kidderminster ready to depart with the Intercity Mk2 rake of coaching stock with the 19:35 to Bridgnorth. 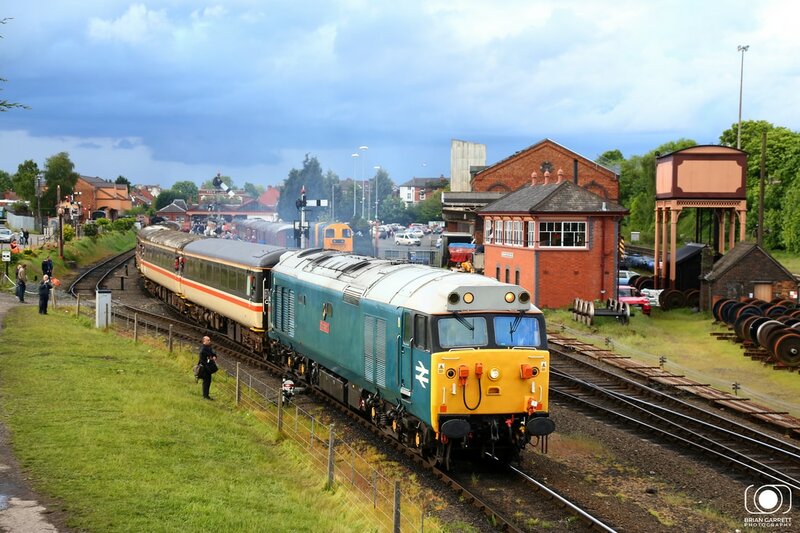 Construction liveried Class 31 No.31271 arrived into Kidderminster working the 18:25 from Bridgnorth. 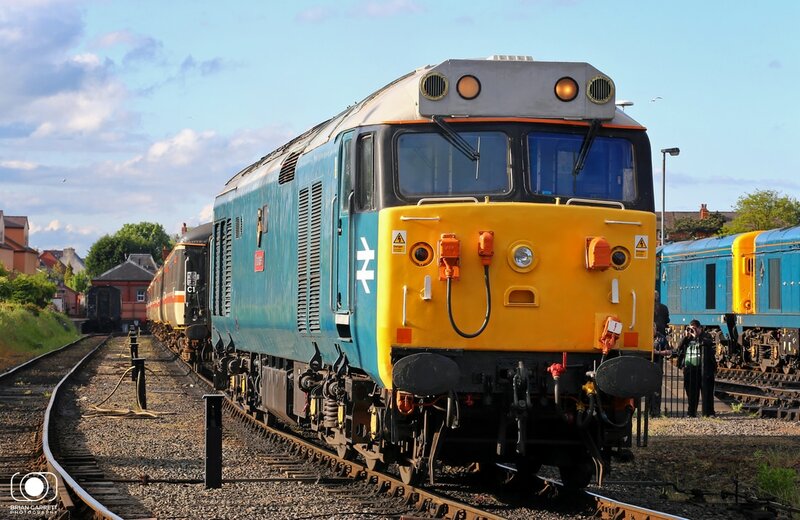 Laira Blue Class 50 No.50008 'Thunderer' departs Kidderminster with the 19:35 'beerex' to Bridgnorth. 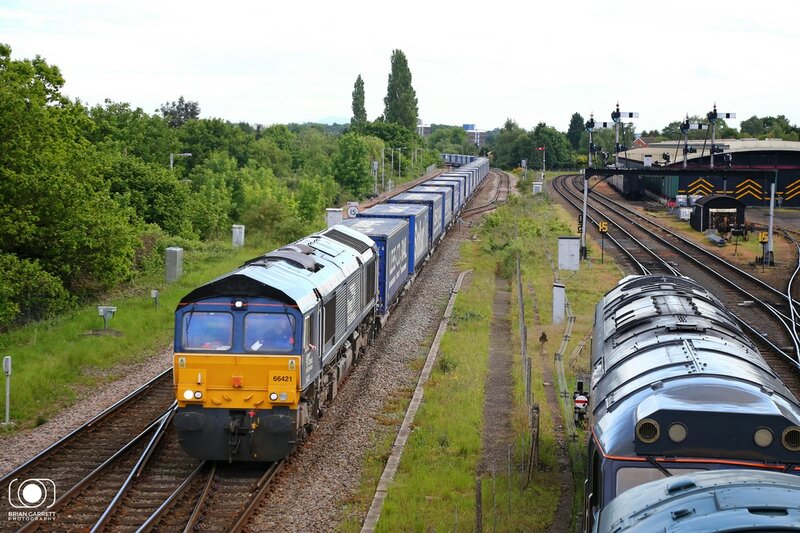 DRS liveried Class 66/4 No.66421 joins in the fun passing on the mainline while working the 4M56 16:58 Wentloog - Daventry. Tescoliner. 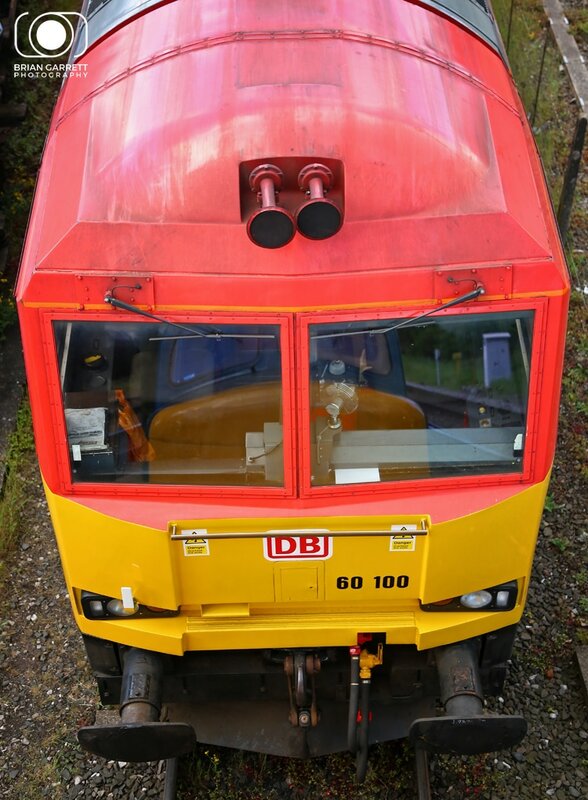 DB Cargo Class 60 No.60100 is pictured with BR Blue Class 45 'Peak' No.45041 reflected on the window. 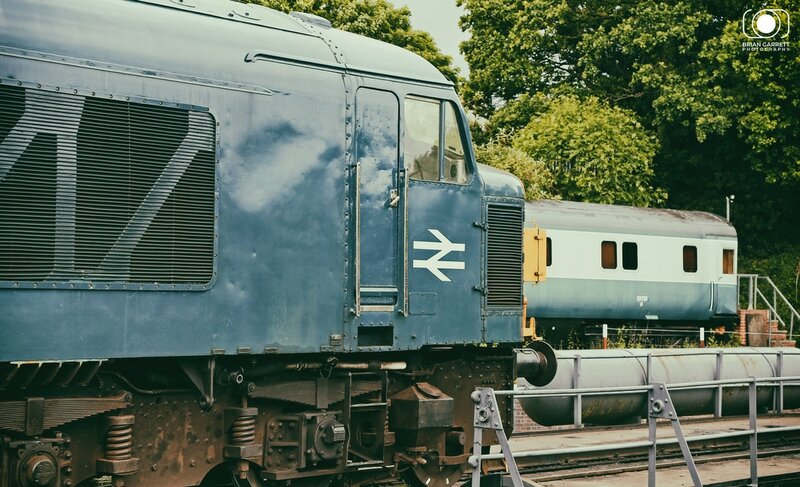 A suggested possible scene from the 1908's showing BR Blue Class 45 'Peak' No.45060 adjacent to BR Blue Sleeper Car at Kidderminster.